Acura Integra (1991) – wiring diagrams – brake controls Year of productions: 1991 Brake controls WARNING: Terminal and harness assignments for individual connectors will vary depending on vehicle equipment level, model, and market. Acura Integra (1991) – wiring diagrams – power windows Year of productions: 1991 Power windows WARNING: Terminal and harness assignments for individual connectors will vary depending on vehicle equipment level, model, and market. Acura Integra (1991) – wiring diagrams – power locks Year of productions: 1991 Power locks WARNING: Terminal and harness assignments for individual connectors will vary depending on vehicle equipment level, model, and market. Acura Integra (1991) – wiring diagrams – instrumentation Year of productions: 1991 Instrumentation WARNING: Terminal and harness assignments for individual connectors will vary depending on vehicle equipment level, model, and market. Acura Integra (1991) – wiring diagrams – computer data lines Year of productions: 1991 Computer data lines WARNING: Terminal and harness assignments for individual connectors will vary depending on vehicle equipment level, model, and market. Acura Integra (1990) – wiring diagrams – oil warning Year of productions: 1990 Oil warning WARNING: Terminal and harness assignments for individual connectors will vary depending on vehicle equipment level, model, and market. Acura Integra (1990) – wiring diagrams – fuel warning Year of productions: 1990 Fuel warning WARNING: Terminal and harness assignments for individual connectors will vary depending on vehicle equipment level, model, and market. 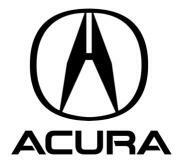 Acura Integra (1990) – wiring diagrams – brake warning system Year of productions: 1990 Brake warning system WARNING: Terminal and harness assignments for individual connectors will vary depending on vehicle equipment level, model, and market. Acura Integra (1990) – wiring diagrams – transmission control Year of productions: 1990 Transmission control WARNING: Terminal and harness assignments for individual connectors will vary depending on vehicle equipment level, model, and market.